A stunning new lawsuit filed against Fox News has placed the spotlight on a wealthy Republican donor. Ed Butowsky bills himself as an "internationally recognized expert in the wealth management industry" and a "leading voice on financial matters." He's also been a semi-regular guest on Fox News and its sister channel, Fox Business Network, as well as a number of other media outlets. It's those ties to Fox, as well as to the Trump White House, that helped thrust Butowsky to the center of a bizarre and explosive story involving a slain Democratic National Committee staffer and the Trump administration. A federal lawsuit filed Tuesday accuses Butowsky of working with the White House on a false (and eventually retracted) Fox News story about the murder of DNC staffer Seth Rich. According to the suit, the story was intended to undermine the public's belief in the U.S. intelligence community's conclusion that Russia hacked the DNC and obtained the emails ultimately released by Wikileaks. The lawsuit, which was brought by Rod Wheeler, a private investigator who was quoted in the retracted Fox story represents the first tangible link between the fringe conspiracy theory surrounding Rich's death and the White House. 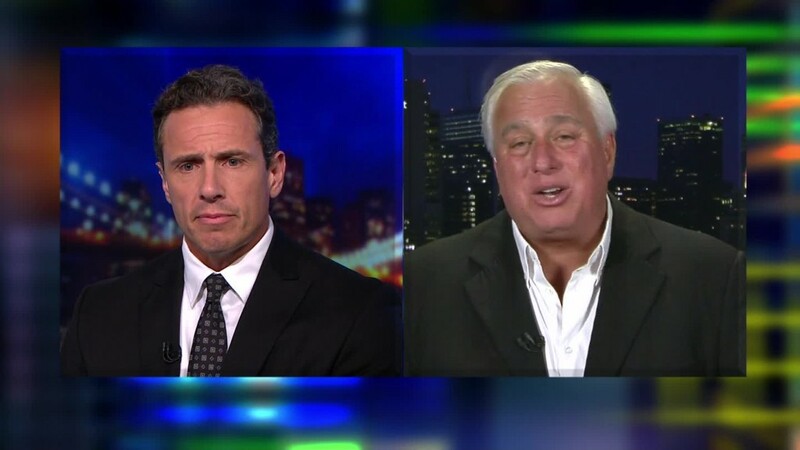 Butowsky told CNN that the allegations are "bulls**t."
He further detailed his side of the story in an appearance on CNN Tonight on Tuesday, claiming the lawsuit was just an attempt by Wheeler to make money. "I've never talked to President Trump in my life," Butowsky said, denying that the White House had "anything to do with any of this." In a statement, Jay Wallace, Fox News' president of news, denied that the network published the story "to help detract from coverage of the Russia collusion issue." Wallace also said that Fox has "no evidence that Rod Wheeler was misquoted." Though he is now more squarely in the public eye than ever before, Butowsky's role in the saga has been known for some time. After Fox's story lit up pro-Trump media in May, the Rich family revealed that Butowsky was subsidizing Wheeler's investigation into the murder, which Washington, D.C. police have blamed on a botched robbery. But the Rich family was, according to a spokesman representing them, taken aback when they learned that Butowsky has ties to Steve Bannon, the White House strategist and former chairman of Breitbart News. Butowsky has appeared on Breitbart News Radio multiple times over the years and has described Bannon as "a friend and a very nice man." But Butowsky later told BuzzFeed that he and Bannon are more like acquaintances. "It's not like I have a Steve Bannon teddy bear," Butowsky said in May. "I've never eaten a meal with the guy." Butowsky's website details a long career in business, including the 2005 launch of a private wealth management advisory firm in the Dallas area. He's described as "a well-respected member" of the community, and "an accomplished speaker on a variety of topics." Beyond his business, Butowsky has also plied his trade as a go-to analyst for reporters and broadcasters, frequently popping up on television or in news articles. His media hits include appearances with outlets outside the conservative media space occupied by Fox and Breitbart, including CNN, CNBC and CBS. He's also a close friend of "60 Minutes" correspondent Lara Logan, even serving as a spokesperson of sorts after Logan was hospitalized in 2015. But on Tuesday, as the lawsuit reverberated throughout the media world that he's traveled for years, Butowsky tried to make himself less visible. He appeared to remove videos of his cable news appearances from YouTube, and he deleted his Twitter account.